Spustili jsme nový online shop pro ČR. Nakupovat je možné na přímo v sekci Merch. We have launched our new online shop for Czech customers. International store is coming soon! Hledáme druhého kytaristu. Zájemci, pište na beltaine@nemethon.cz nebo náš fb profil. Beltaine is one of the most important Celtic festivals held on 1st May to welcome the summer season. 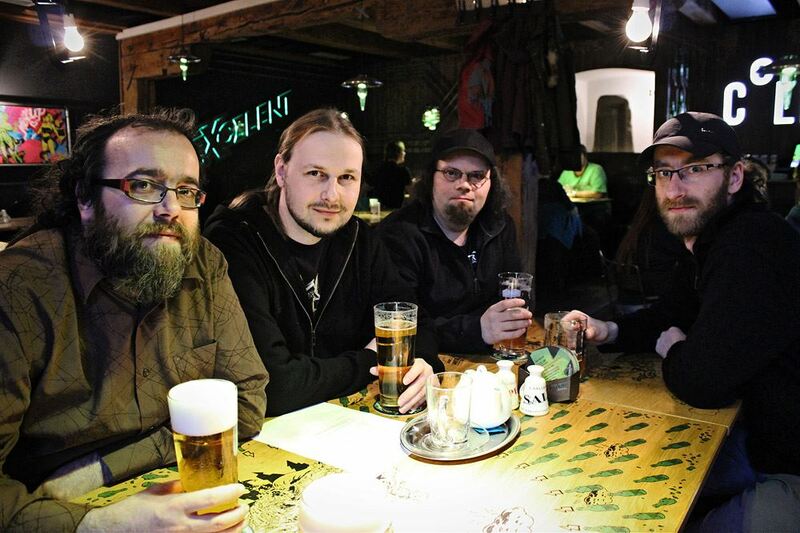 It is also a Czech metal band from Pilsen who released the only album “Bohemian Winter” fourteen years ago. A year later a three-song DVD “Lone Video” came out. Prior to these records there was a demo tape “First Scream of Bohemian Winter” from 1998. The band revived earlier this year after a long hiatus and I spoke about their plans with the vocalist Vasek Kudlic. Vasek, as I mentioned above, Beltaine are back. First let’s go back to the beginning. How did Beltaine form, who was in the band and what music did you want to play? We are happy to announce that BELTAINE ARE BACK! After a long period of inactivity caused by health issues, lineup changes and a few other things beyond our control, the “Bohemian Winter” era lineup Vasek Kudlic (vocals, keys), Pepan Kaspar (guitars), Jaromir Vlach (bass) and Pavel Cirnfus (drums) reunites and works on new material. We want to celebrate 20 years of the band’s existence with a new record. It’s going to be a three-song EP, for which the original recording session took place in 2008 but was then put on hold. We will use drum tracks, some guitar tracks and basslines from the original session. All the other tracks are being recorded right now in our newly built Nemethon studio. S radostí oznamujeme, že BELTAINE JSOU ZPĚT! Po dlouhém období neaktivity, způsobeném zdravotními problémy, změnami sestavy a dalšími událostmi mimo naši kontrolu, se sestava z období alba “Bohemian Winter” ve složení Vašek Kudlič (zpěv, klávesy), Pepan Kašpar (kytary), Jaromír Vlach (basa) a Pavel Cirnfus (bicí) dala opět dohromady a pracuje na novém materiálu. Chceme oslavit 20 let existence kapely novou nahrávkou. Bude to třípísňové EP, jehož nahrávání původně začalo v roce 2008, ale bylo pak odloženo na neurčito. Použijeme původní stopy bicích, některé kytarové party a basové linky. Ostatní se právě nahrává v našem nově vybudovaném studiu Nemethon.